Playtech is a pioneering software development company in the online casino world. Around since 1999, Playtech secured its first casino license in 2001 and has continued to grow at an exponential rate since then. The company creates top quality gaming software and has gone way beyond just online versions of traditional casino games. Playtech boasts gaming systems that allow brands to offer casino games, sports betting, bingo, poker, and any other type of online gambling out there. Playtech games are some of the most popular available especially since the jackpots in these games are some of the highest sums to be played for online. Being such a leader in its field, it’s no surprise that Playtech’s gaming software is up there with the best. 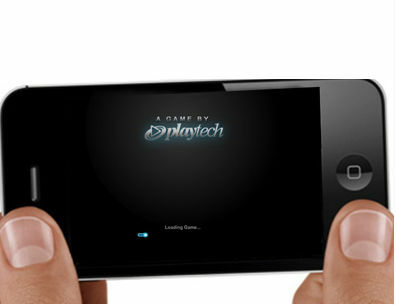 Playtech games always run very smoothly and there are never any glitches. The graphics are beautiful and the gameplay is always designed to make sure you’re having fun. The company is monitored by third-party organizations that make sure all the games follow fair gaming rules so you can be sure the games aren’t rigged. Playtech casinos are very well laid out, with a wide range of gaming options to discover. A Playtech casino will typically offer over 500 top quality casino games organized into categories such as table games, card games, slot games, live dealer games and others. Playtech’s sophisticated software allows players to access a wide variety of games and you can choose whether to download the casino, or play a flash version. If you’re a fan of live dealer games, you will have to download the casino as the live casino can’t be accessed via the flash version. Playtech also offers a lot of its great casino games as mobile versions. You can play blockbusting slots or blackjack on your smartphone or tablet device. One of Playtech’s strengths, besides its technological know-how, is the company’s ability to partner with high-level entertainment brands such as Marvel, MGM, NBC Universal and HBO. The result is epic games like the extremely popular Gladiator and Iron Man 2 slot games. To be honest, making a list of Playtech’s best casino games just wouldn’t make sense. There are so many great games and it also depends on the type of games that you’re into. We suggest signing up to a recommended Playtech casino and discovering what Playtech has to offer at your own pace. Playtech offers some of the biggest jackpots online. For example, as this article is being typed, Playtech’s popular Beach Life slot is sitting at a whopping $2,082,247. That’s not the only Playtech jackpot currently over the million dollar mark, though. The game Funky Fruits has a progressive jackpot that is currently at $1,216,795 while Jackpot Giant continues to grow at $1,692,718. Do Playtech Games Have Good Payout Rates? As with other casino gaming developers, you can’t really generalize about the payouts of all Playtech games. Some games have really generous return-to-player rates. For example, the slot “A Night Out” offers an amazing RTP of 97.06%. Other top payout rates for Playtech games are 97.01% for Dr. Lovemore, and 96.08% for Captain’s Treasure Pro. On the other hand, there are also some very low-paying casino games. For example, we really like the Thor slot game by Playtech. It’s a classic online slot game. The problem is that its payout rate is pretty low at 91.93%. If you aren’t really a fan of the game, it makes more sense to play another title. There’s definitely no lack of Playtech slots games that are both entertaining and high-paying. Are Playtech Games Safe and Secure? Playtech is a leading casino platform provider, licensed and regulated by external parties. This means that this is a brand that can be trusted both in terms of fair play and information security. Playtech has a nice selection of mobile games although this isn’t the company’s strongest side. They seem to be slowly catching up to their competitors though, and while their mobile options aren’t that varied, they offer huge jackpots that can be won via smartphone or tablet device. Playtech casinos offer free demo play to allow players to get a feel for the different games. Just pick a recommended Playtech casino and browse your way to the category of your choice. You’ll see a “Play for Free” button next to each game. After trying out the game, you can decide to play for real money if you wish. Just click the “Play for real money” button in the game to be taken to the casino’s registration page. Playtech casinos are usually very generous with their bonuses and will offer a number of promotional perks that will allow you to make the most of your deposits like VIP clubs, comps, deposit bonuses, and free spins. Playtech is an established company and because they’ve been around since the start, are supported by a wide range of payment methods. All the main payment methods used by Canadians are on offer so just pick whichever method is most convenient for you. Playtech was at the start of the online gaming craze and became a pioneer in its field. Today the company offers a wide array of online gambling options over multiple brands. Playtech’s sophisticated platforms allow brands to offer casino games, poker, bingo, sports betting and other gambling options all under one roof. This is really great since players don’t have to deposit into separate accounts if they’re interested in more than one gaming type. Playtech’s stature also allows the company to have huge prize pools. Progressive slot machines with sums well over the million dollar mark are no rare sight at a Playtech casino. To sum up, let’s just say that if you’re excited by online casino games, then head over to one of our recommended Playtech casinos a soon as possible. You won’t be disappointed.